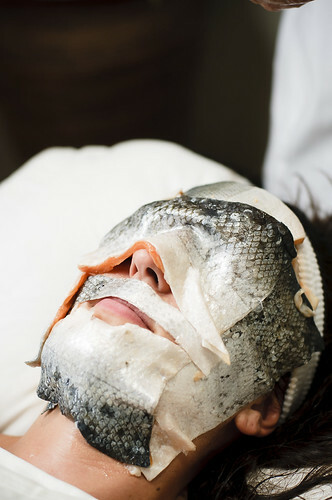 You might think you have seen it all until you see someone putting fish skin on his or her face. That’s right fish skin. 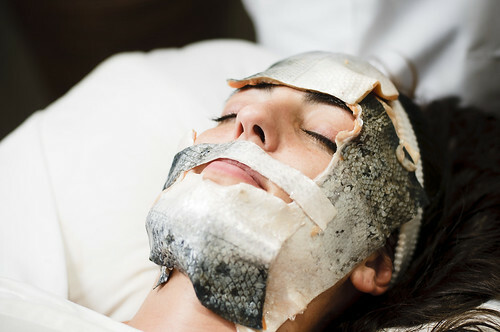 You might think they are crazy, or really like fish, but you might find it interesting to know that there is some data that shows fish skin to be quite healthy for your skin. Salmon has been used for many versatile things for generations. Heads of fish in crops to act as a fertilizer, fish oils for your joints, and fish meat to eat. 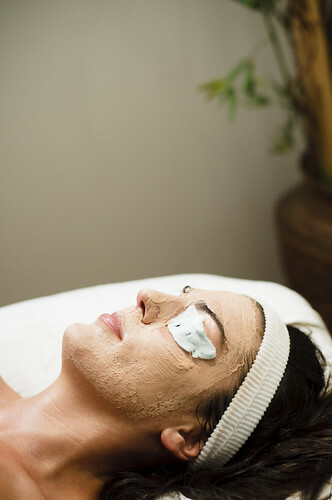 Now it seems its good for your face. 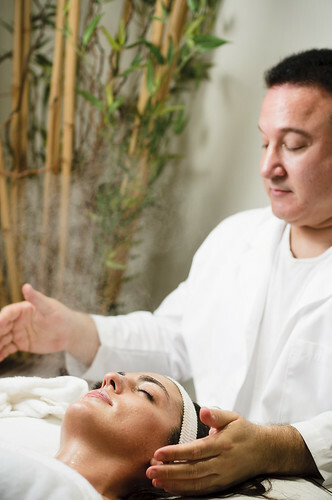 You cleanse the face in the same processes as normal aestheticians, but at the very end lay cold salmon skin on the face to help release helpful oils into the skin while simultaneously cooling and closing up your pores. The shoot was a load of fun because it was completely different from anything I have really shot. Not to mention some big obstacles to over come; one being the lighting situation. When I arrived to the shooting location, all we had was a couple can lights that created some major unattractive shadows for my modals. So I brought in one of my constant lights and flood one side of their face. I knew most my shots would be in one general location so one light would work all right. Besides even if I did want another light I would be hard pressed to find some adequate room to set it up. The room was a whooping 10x12, with a bed in the center, ladder on the side (for my up shot), and a counter in the back, there was little room left for any additional lighting. But we made it by all right. Below are some photos of the process and very simple lighting set up. Cheers, and happy Tuesday Peter M.